Mary Margaret Carmichael, the hero of this novel, is a well known author who has been persuaded to publish her autobiography, and it is this that is the basis of a very intriguing story. She enlists the help of family and friends, and their input sets the story off in several unexpected directions. A chapter is dedicated to each contributor and is used as a layer to build up the life story of Mary Margaret. Her own chapter kicks the whole thing off and is an early indicator of another author's descriptive powers. Colleen Sayre has her character take a walk from her home to a nearby store and in that short journey we learn a lot about the woman, the town she lives in and the people who inhabit it. We learn what a vulnerable, fragile, solitary soul she is, and how she is held together by rigid determination. We also learn how much she values her solitude. We yearn to know her history and are delighted when it tumbles out of every chapter. Her history brings you joy, and also intense sadness, and her vulnerability is always on your mind. Mary Margaret's pops up throughout the book to add her own contribution and pull things together. This is a wonderful and quite unique way to unfold a story and I am now a huge fan of Colleen Sayre. Her book deserves to be read. To me it is a very important piece of literature. 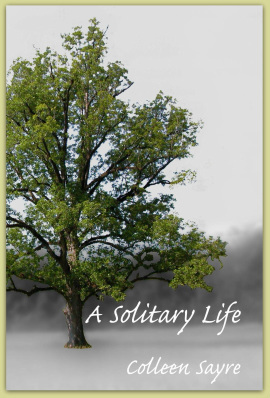 Have your read A Solitary Life?